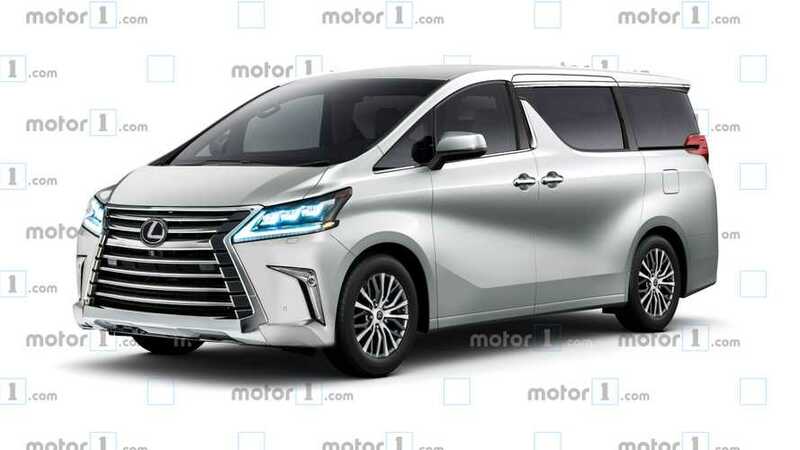 We aren't sure if the vehicle could actually happen, but this rendering shows that a Lexus minivan could have an interesting look. Last week, a report from the Philippines quoted Raymond Rodriguez, president of Lexus Manila, Inc., as calling a minivan from Toyota's luxury nameplate as "only a matter of time." Whether or not this premium people mover actually arrives in showrooms, it's interesting to imagine what a Lexus van might look like. Motor1.com's new rendering uses Rodriguez's statements and some creative license to fantasize about the exterior styling of the opulent, roomy model. Rodriguez imagined using the Toyota Alphard minivan as a starting point for the Lexus version because of the people mover's popularity in the Philippines. So, we start with the brash looking Toyota as the starting point for this render. It then receives a massive version of Lexus' spindle grille that would certainly grab attention on the road. The brand's trademark, sharp-edged LED headlights also now appear on the front end. L-shaped trim adds an attractive flourish to the gills in the lower fascia and also incorporates the fog lights. This Lexus minivan also wears the company’s branding on the wheels. Otherwise, the design largely comes from the Alphard minivan. This isn’t a bad thing, though, because elements like the pointed element in the sliding door keep the vehicle from looking that a standard people mover. Rodriguez might have a little support within Toyota for building a luxury minivan. In 2014, a story reported that Lexus dealers in Japan, China, and other parts of Asia were asking for a premium MPV. Groups of executives and politicians in those countries prefer the extra space in a van because of the additional room over a luxury sedan. “If I go out to dinner with four people, I can't take my chauffeured LS,” a Toyota-Lexus dealer representative said at the time as reasoning for the more spacious vehicle. Despite the possibility of some demand for a Lexus minivan, we still doubt the model’s chances of seeing production. At the moment, crossovers are a hot segment all over the world, and that trend doesn’t appear to be changing. Lexus is investing heavily in the market, too. For example, the tiny UX is on the way, and there are rumors of a new range-topping SUV to replace the LX.